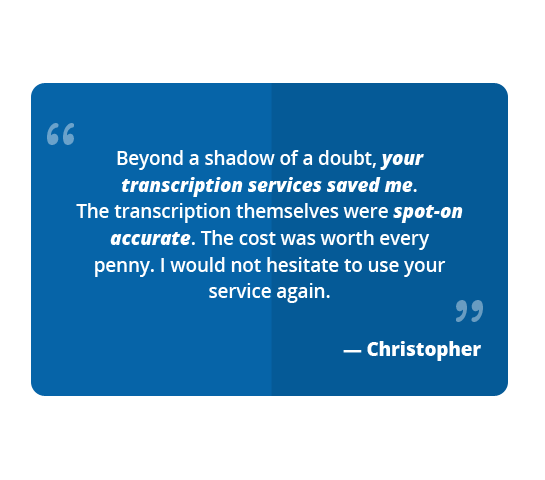 Completed transcripts emailed to you same-day or next business morning! We might live in a fast paced world, but don’t worry. TranscriptionWing can help you keep up with the paces. We offer rush delivery services to those of you who need things done instantly. With our RUSH turnaround option, you can have your completed document back in just 4 hours (same-day delivery)! Once we receive your request, a customer representative will call to confirm receipt of the high-priority project and you’re all set! Need your file back tomorrow morning? Then 9 AM delivery is the turnaround option for you! You’ll receive your completed transcript first thing in the morning – isn’t that a great way to start the day? *Disclaimer: Cutoff time for RUSH (4-hour) turnaround is 2pm ET. Cutoff for 9 AM Delivery is 7pm ET. That’s it! 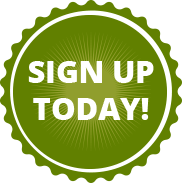 We’ll send you your complete transcripts within 4-hours. Please make sure you upload your audio files before our 1 PM ET cut-off for same-day delivery. TranscriptionWing is a service of Civicom, Inc. Civicom’s founders pledged 10% (a ‘tithe’) of their stock. Using Civicom help support this cause. If heavy accents or significant crosstalk are present, to ensure accuracy, delivery may take longer than 4 hours. We will connect with you within 30 minutes of your request if 4 hours will not be met to ensure you know when the file can be delivered. Service is available during U.S. business hours.